Have you ever felt lost in life, and you didn’t know which way to go? Have you ever had to make a really hard decision, and you didn’t know which path to choose? Have you ever felt like you didn’t know which direction to turn? What if the clear sign or symbol was as simple as a basic little yellow arrow? Yes, a yellow arrow. That’s the symbol you find out on the Camino de Santiago pilgrimage route. The Camino is marked with hundreds of these arrows, which are painted on sign posts and railings, on the sides of houses and buildings, on sidewalks and paved roads, on rocks and stones, on the back of street signs. Basically, everywhere. The yellow arrow, which is called flecha in Spanish points people to take the right direction along the Camino, which is also seen as the the right way, the right path, the right choice. Sometimes the arrow points you straight ahead, other times it leads you to the left or to the right, or through a tunnel, or over a bridge, or along a trail, around a corner, up some stairs, through an intersection, through villages and town. 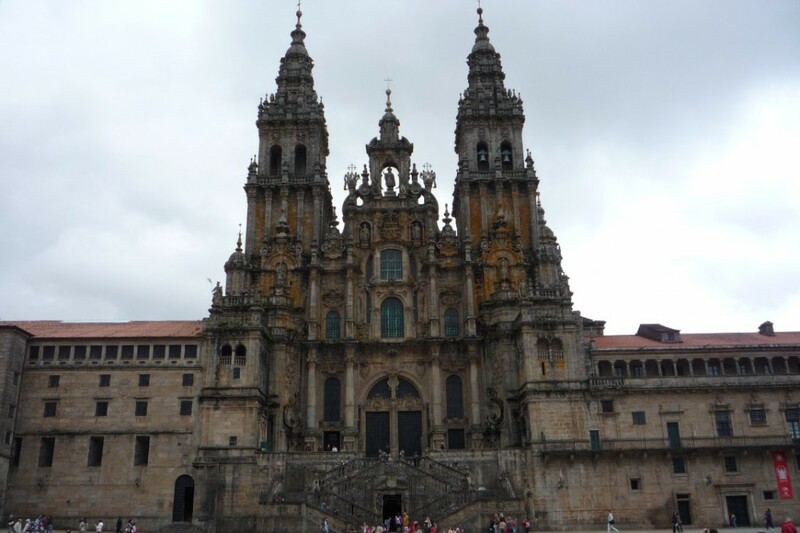 You will be able to visit a 360° landscape and enjoy nature before arriving to the Cathedral in Santiago de Compostela. Walking for several miles, like 150 miles, as most of the pilgrims do, really helps to think about your life, future and whatever doesn’t let you be happy. You can think about various things and keep a journal writing your emotions, feelings, experience and so on. Thoughts, tips and translations are very heplful and they can be a really good memory of your trip along to the Camino de Santiago. It will be a unique experience, for sure. So, keep in mind a possible journey to think about yourself.